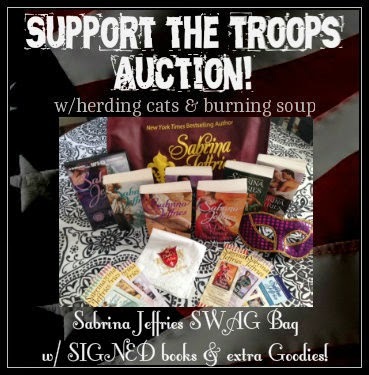 herding cats & burning soup: It's HERE!! 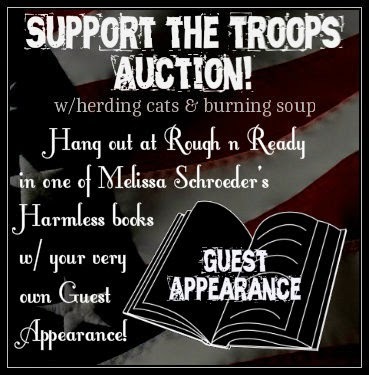 Support the Troops FB Party & Silent Auction! Please RT!! Yup! 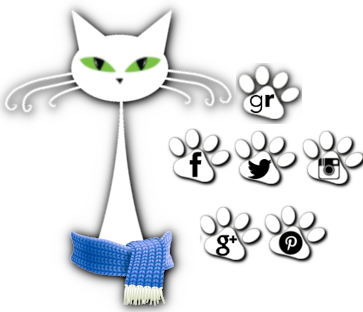 We're going to party on Facebook! To join the party go HERE! And please invite your friends! 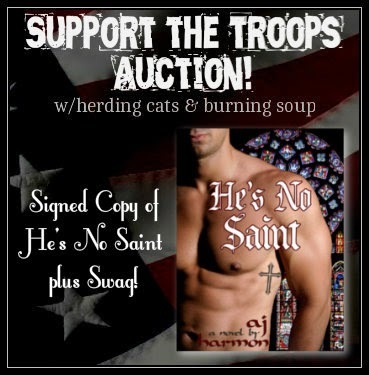 Guest authors, games, giveaways...man candy. 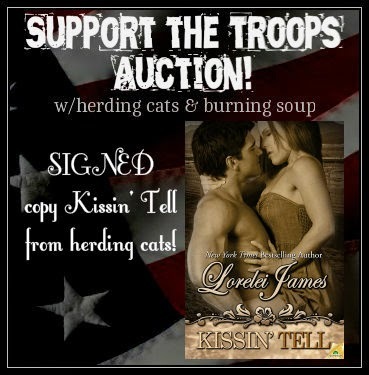 Auction Pages are located HERE! There are 29 amazing packages up for grabs. 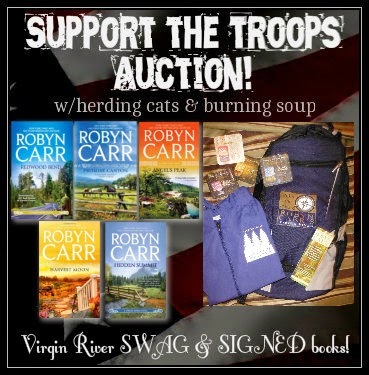 Signed books, swag, guest appearances. 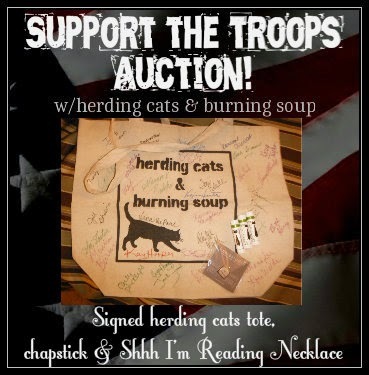 Come out, bid, spread the word! Black Knights Inc series! Woot! Thanks Julie Ann! 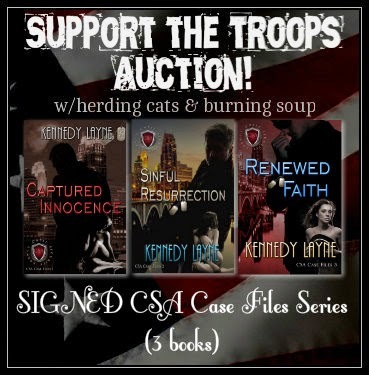 Kimberly is donating signed print copies of her new series! 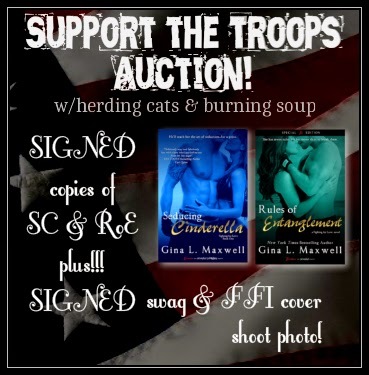 Tonya is donating SIGNED copies of the HORNET series! and a signed photo from the Fighting for Irish photo shoot! 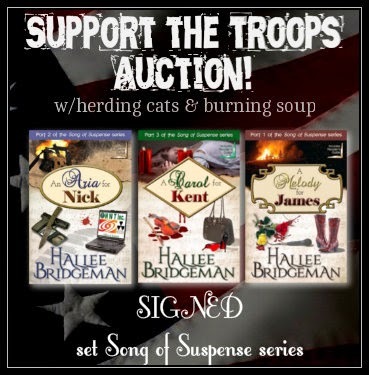 Signed Song of Suspense series (3 bks) from Hallee Bridgeman! 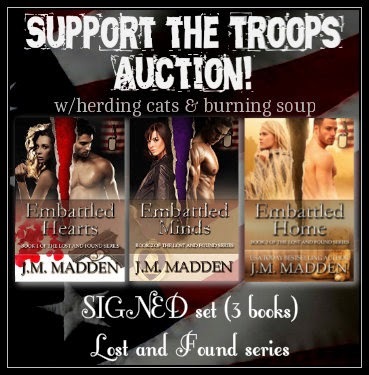 From JM Madden SIGNED Set of Lost and Found series. Woot! 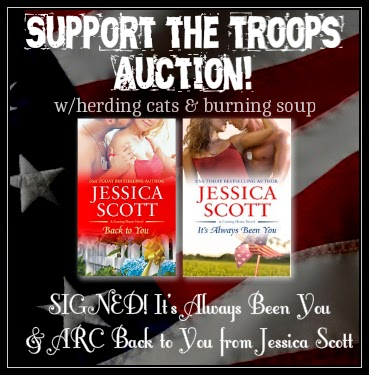 from Ms Jessica Scott who is just awesome! 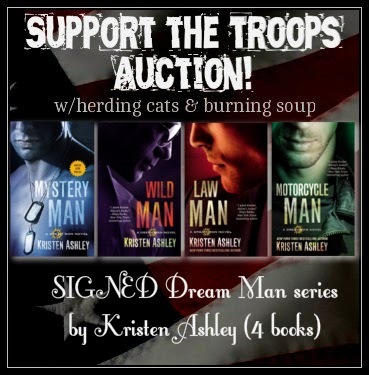 Signed Dream Man series from Kristen Ashley! 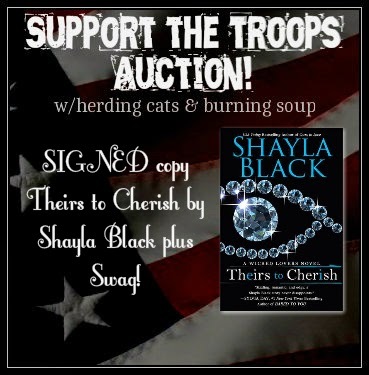 A SIGNED copy of Theirs to Cherish plus swag! (pen & buttons) Woot! Thanks Shayla! of Play by Play books! 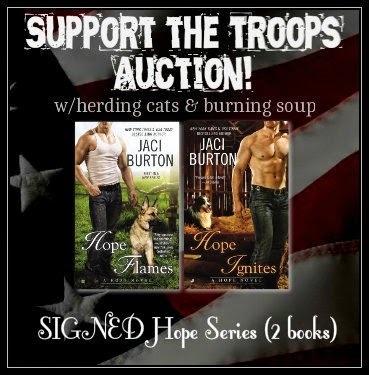 SIGNED set the Hope Series books (2). Thanks Jaci! Oh. My. That's a lot of Buckhorns from Lori Foster! 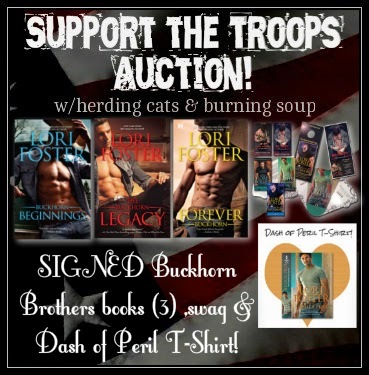 3 SIGNED books, swag and a Dash of Peril T-Shirt! Her Forbidden Hero and One Night with a Hero. Woot! And a little tattoo'd goodness from Laura Kaye. SIGNED copies of the Hard Ink Books! Woot! Thanks Laura! 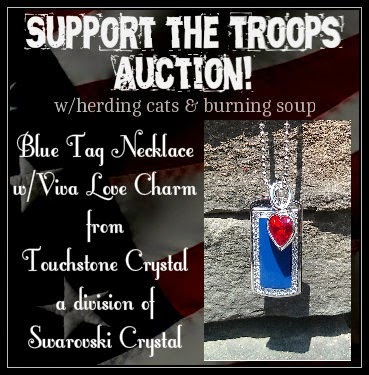 This is a division of Swarovski Crystal! 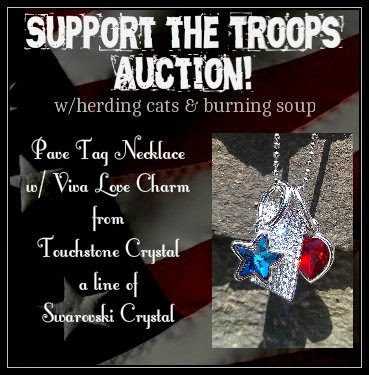 Another gorgeous necklace donated by Heather Young. star will be added as a thank you! Thanks so much Heather! 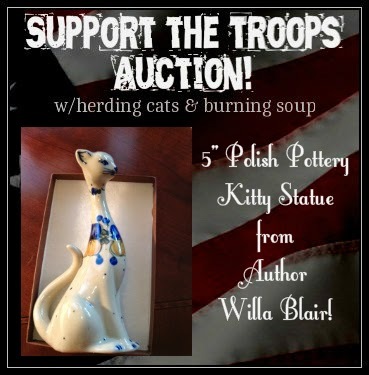 Pretty kitty statue donated by Author Willa Blair! 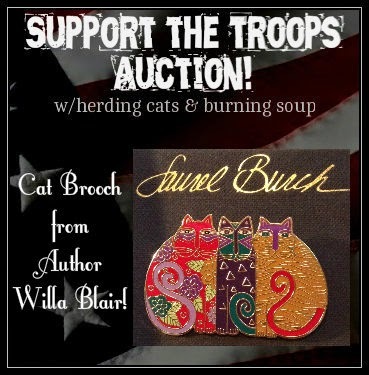 Gorgeous Feline Friends Brooch from Author Willa Blair! from AJ Harmon! Thanks AJ! 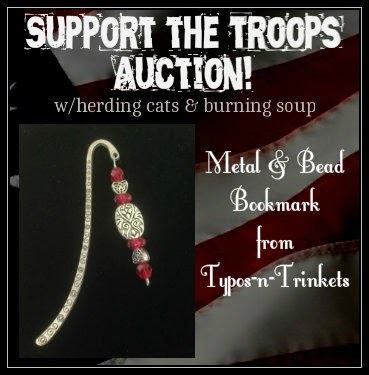 Metal beaded bookmark from Typos-n-Trinkets! And...that's our first Auction! Please share this about. It would be greatly appreciated. 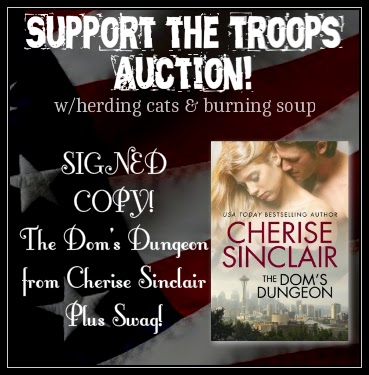 Huge thanks to all of the authors, bloggers and readers who donated items. Yall are truly amazing!